Mt. 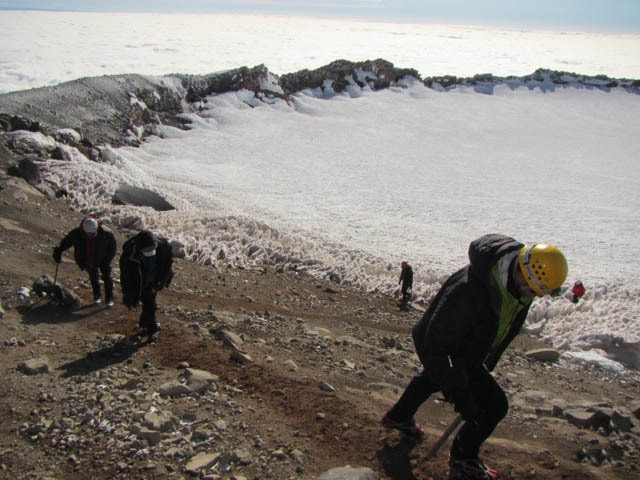 Rainier: Gately & Team Reach the Top! RMI Guide Steve Gately radioed in at 7:00 AM PT this morning to report a successful summit climb. The team was spending some time enjoying the crater and views of Mt. Rainier before gearing up for their descent. Steve reported light winds and good conditions. Yahoooo!!! Congrats boys!! Not sure if this is your group, but it has to be one of the ones reported! Love and miss you! Can’t wait to hear all about it! !